Situated in a rural location, this farm stay is 0.1 mi (0.1 km) from Val di Chiana and within 9 mi (15 km) of Tenuta Valdipiatta and Church of St. Agnes. Colonna del Marzocco and Palazzo Avignonesi are also within 9 mi (15 km). 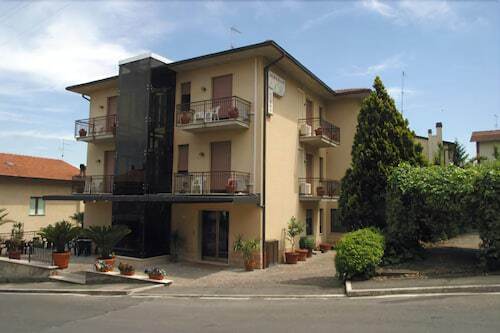 Situated in the suburbs, this boutique hotel is within a 10-minute walk of Val di Chiana and Church of St. Agnes. Colonna del Marzocco and Palazzo Avignonesi are also within 15 minutes. How Much is a Hotel Room in Montepulciano? 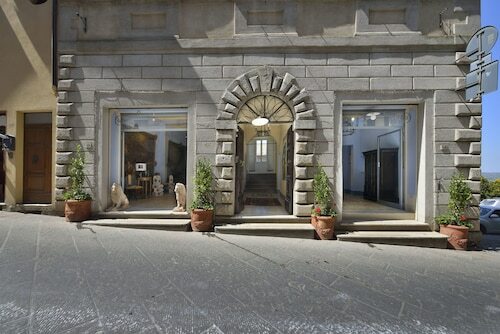 Hotels in Montepulciano start at $50 per night. Prices and availability subject to change. Additional terms may apply. Room options are plentiful in Montepulciano. Right now, Travelocity customers can book an impressive 124 hotel establishments within a 6-mile (10-kilometer) radius of Montepulciano. 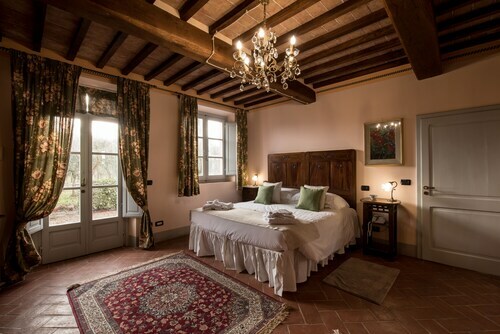 When you would like to book a room just a short walk from the downtown precinct of Montepulciano, think about the ever-popular Agriturismo Sanguineto. For a hotel situated close to the Tenuta Valdipiatta, select from the Villa Cicolina or the Etruria Resort & Natural Spa. 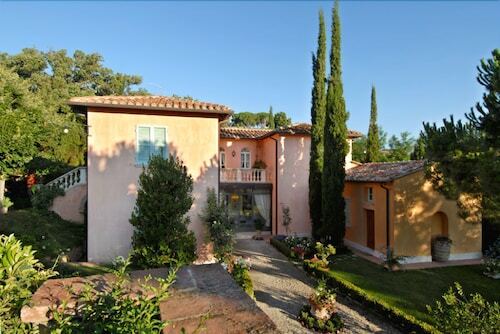 The Villa Cicolina is only 0.7 miles (1.2 kilometers) walk from the Tenuta Valdipiatta. The Etruria Resort & Natural Spa is 2 miles (2 kilometers) away. 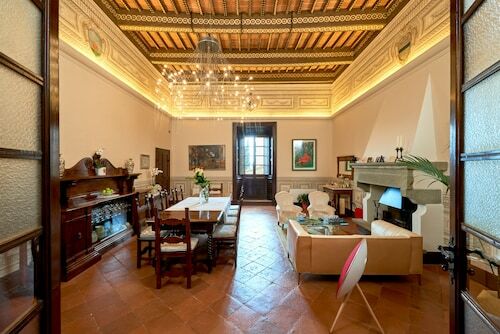 If you'd like to spend time in Montepulciano, but are a budget traveler and simply looking for more affordable accommodation, you'll find that there are also plenty of affordable places available in the vicinity. 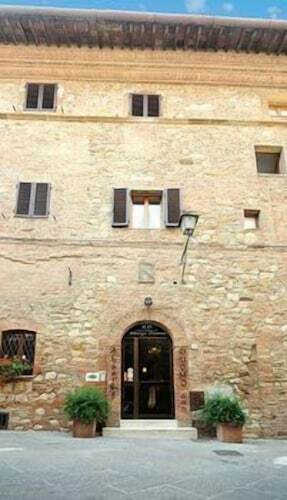 The Hotel La Terrazza di Montepulciano is 3 miles (5 kilometers) from downtown, while the Farmhouse Il Fienile is 3 miles (4 kilometers) away. The Villa Ambra and the Albergo Duomo are some alternative cheaper accommodations worth checking out. 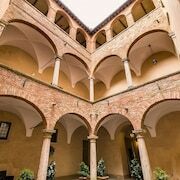 The Adler Thermae Spa & Wellness Resort can be found about 12 miles (20 kilometers) from the heart of Montepulciano. Or, alternatively, the Fonteverde is situated 17 miles (28 kilometers) away. Two more alternatives worth checking out include the Relais La Corte dei Papi along with the Hotelito Lupaia. After spending time in in Montepulciano, try and leave enough time to see the other great attractions Tuscany has to offer. Tuscany is known for rural landscapes and beaches. Commonly visited traveler attractions include ruins. Intrepid visitors might also try snowboarding and skiing in the region. 40 miles (68 kilometers) to the northwest of Montepulciano, you'll reach Val d'Elsa, which is where you'll find Archeological and Collegiate Church Museum and Torre Rognosa. 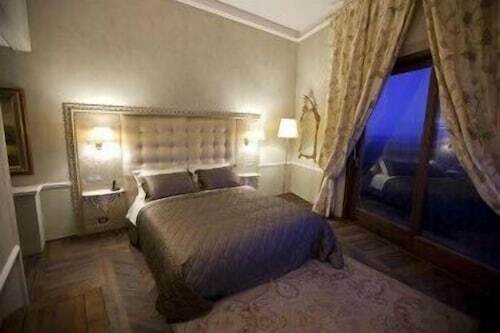 Val d'Elsa hotels and accommodations include the Tenuta Di Mensanello and Torraccia di Chiusi. Or, you could consider staying in Val d'Orcia, 14 miles (22 kilometers) southwest of Montepulciano, where you'll find the Hotel Osteria Dell Orcia and Locanda del Loggiato. The Collegiate Church of San Quirico and Palazzo Chigi are a couple of the frequented attractions to check out while in Val d'Orcia. Peretola Airport can be found 55 miles (92 kilometers) away from Montepulciano's city center. Enlightened travelers who need to find a room nearby can reserve a night via Travelocity at the The St. Regis Florence or the The Westin Excelsior, Florence.